BMW has been researching and using additive manufacturing since the early 1990’s. It is a pioneer in printing high-quality parts and has applied the technology to a multitude of products across its brands. With its long expertise, BMW has now taken 3D printing to the next level. BMW Motorrad, the motorcycle brand of the German multinational automaker, has announced that it will now offer BMW Motorrad iParts as an additional optional equipment. This equipment is actually a 3D printing system which will enable BMW Motorrad customers and dealers to print spare parts on-demand so they are never affected during their journey. Imagine a situation where the motorbike breakdowns in the middle of nowhere, in the cold night in a jungle or in the scorching heat of an outback. Such a situation may not only pose a serious threat to the rider but also will mean that the journey practically ends with no help in site for a long time. Taking this problem and giving the freedom and power to the user to print out their bike parts on-demand with a 3D printing system fitted with the bike, BMW Motorrad has introduced a revolutionary concept for management of spare parts. Initially, BMW will be permanently fitting 250 select Motorrad sales partners with the 3D printing systems. The system includes an integrated processing centre, which enables manufacturing and machining of large and complex parts like gears & housings. Through this method, BMW will produce spare parts for needed items and even for rarely used items on-demand. Smaller and comparatively simpler parts like handbrakes, clutch, levers, turn indicator glasses, etc. can be printed on-demand by the Motorrad customers themselves. This will be achieved by a BMW Motorrad iParts 3D Mobile Printer. The customers can print the required parts even while on a tour by this 3D printer which will be fitted with a top or side case of the bike. Digital files along with the data and material specifications for the parts to be printed will be stored on a BMW iCloud. This data can be easily accessed from any relevant device like a smartphone, tablet, laptop or desktop PC and pushed to the 3D printer for printing. This will obviously require an internet connection. 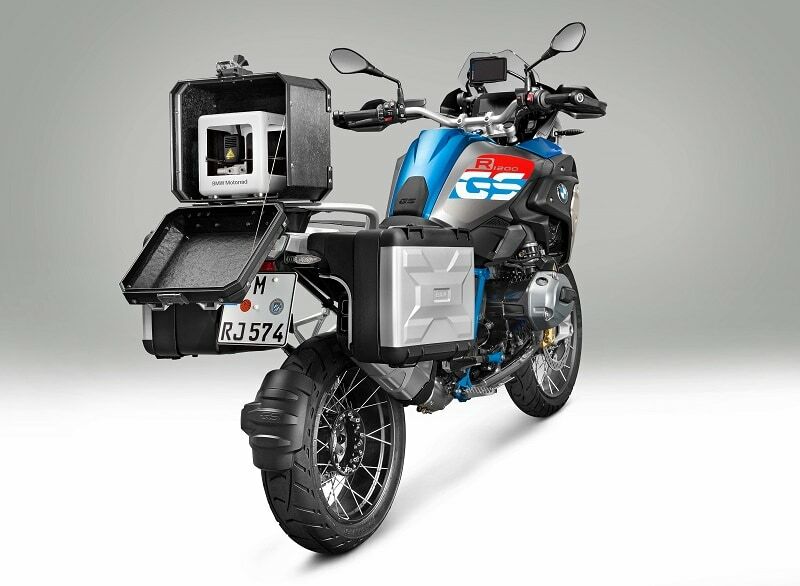 In cases where the internet connection can be a problem, then the customers can select the necessary digital files beforehand on another optional equipment called BMW Motorrad iParts Explorer and access them as and when required. By fitting the 3D printing system in a top or side case, the weight of the bike will be increased affecting its performance, so in order to reduce the weight as much as it can, BMW has created a special top case manufactured from Carbon Fibre Reinforced Polymer (CFRP) to reduce the weight keeping the strength optimum. This CFRP case reduced nearly 5 Kgs as compared to the standard top case. The top case allows for disruption-free operation of the 3D printer. BMW has been experimenting with the technology since quite a long time and using Selective Laser Sintering (SLS) technology it can now incorporate multiple materials in the new spare part management system so it can not only additively manufacture polymers but also various metal alloys. It can also print parts like the indicator glass and even mirrors using the BMW Motorrad iPart 3D mobile printers. This revolutionary concept had to be tested across various parameters to ensure smooth its operation. BMW Motorrad has carried out extensive testing on all parameters and features to ensure the system is fool-proof. The printed parts are functionally tested, strength tested, in both lab and on the field. The company revealed that the BMW Motorrad iPart 3D Mobile Printer which was exposed to the extreme condition of the Australian outback was successful in printing parts which replicated the conventional parts in functional and structural aspects. The testing as carried out at a sweltering heat of 48o Celsius with excessive dust. Another round of testing took the BMW Motorrad iPart 3D Mobile Printer to the extreme cold condition of the Antarctic where the temperature peaked at minus 52 degrees. The team braved the extreme conditions to ride on four BMW R 1200 GS to reach the South Pole on 16 December 2017. The team erected a tent from aluminium poles printed on-site using the BMW Motorrad iPart 3D Mobile Printer. 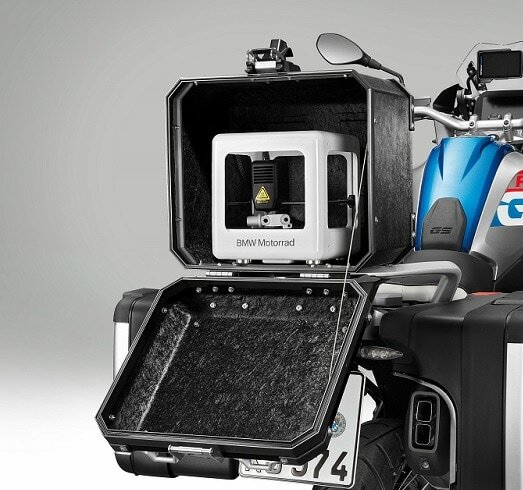 The BMW Motorrad iParts and the BMW Motorrad iPart 3D Mobile Printer is scheduled for a launch in September 2018.